This Studio presents pure luxury and sophisticated comfort, ideal for the corporate traveler. 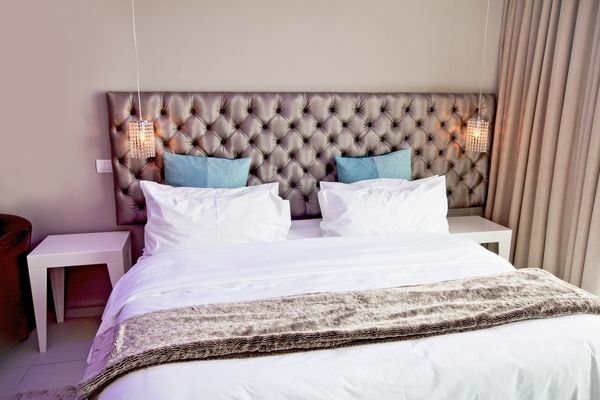 Our studios are fully self-catering and fitted with all the luxury finishes you would expect from a 5 star establishment. From imported German kitchens to 400 thread count linen, every aspect of your needs has been considered for maximum relaxation and enjoyment. The biggest boast our studios have to offer is the sheer size of the room itself, there is no need to worry about cramped living or tiny spaces as these rooms were specifically designed for space and comfort. All of our rooms offer internet access and the fastest internet a hotel can provide.